I accept PayPal (including credit cards) or Checks. 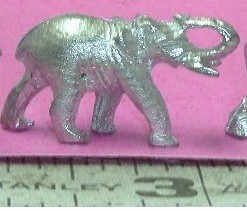 Items in 1 inch scale (1:12) that can be ordered. Note: Some items can cross scales. Please use measurements to determine if they will work in your project. 117 Fan-Shaped Andirons 4 pcs. 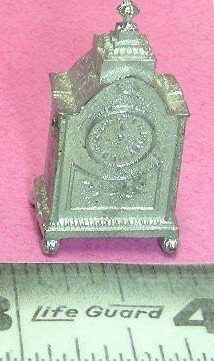 Items in 1 inch scale (1:12) that can be ordered. Note: Some items can cross scales. Please use measurements to determine if they will work in your project. 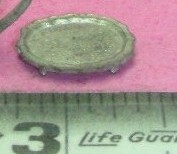 Un-pictured numbers can be seen on scanned pages below the table and are ALL special order. .
1" tall x 3/8" dia. 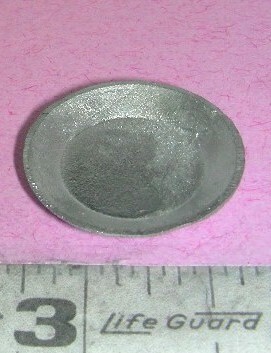 Ring 1/2" dia, total 3/4"
3/4" tall x 1/4" dia. 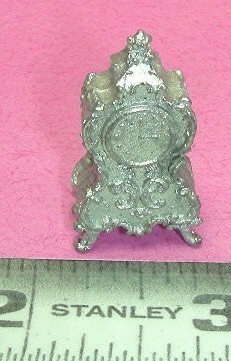 Items in 1 inch scale (1:12) that can be ordered. Note: Some items can cross scales. Please use measurements to determine if they will work in your project. Un-pictured numbers can be seen on scanned pages below the table and are ALL special order. 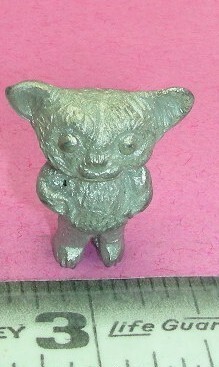 3/8" tall x 3/16" dia. 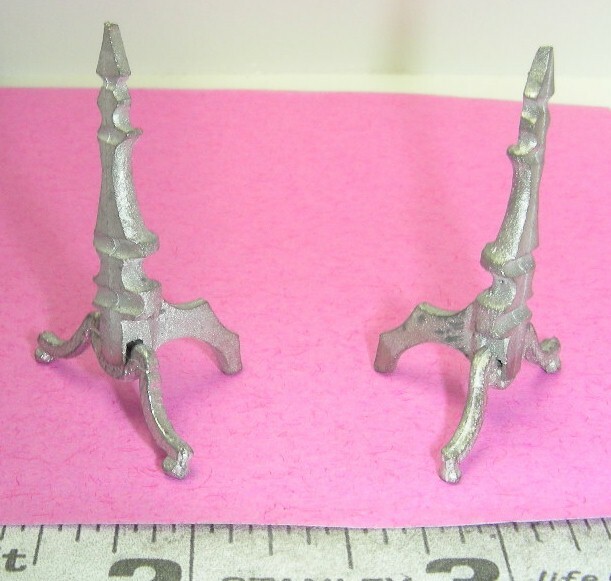 472 Victorian Andirons 4 pcs. 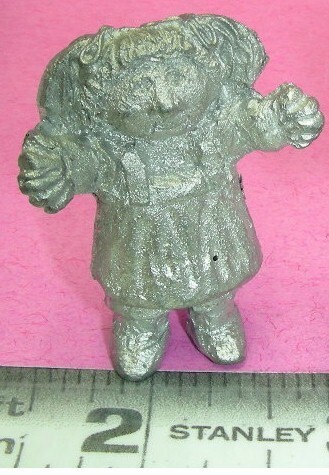 1-3/8" tall x 3/8" dia. 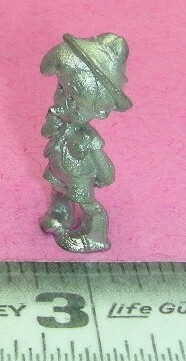 3/8" tall x 7/16 dia. 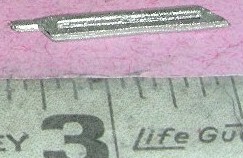 1/2" tall x 9/16" dia. 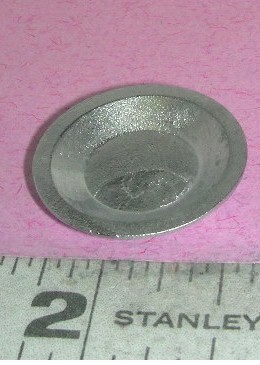 5/8" tall x 5/8" dia. 536A Gravy Boat & Tray 2 pcs. 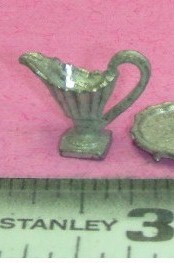 536B Gravy Boat & Tray 2 pcs. 537 Ping Pong Paddles 2 pcs. 574 Large Violin & Bow 2pcs. 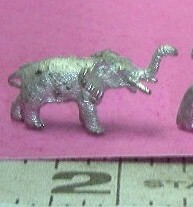 1" tall x 5/16" dia. 813 Telescope on Tripod 3 pcs. 845 3 pc. Footed Tea Set 3 pcs. 861 Old Tennis Shoes 2 pcs. 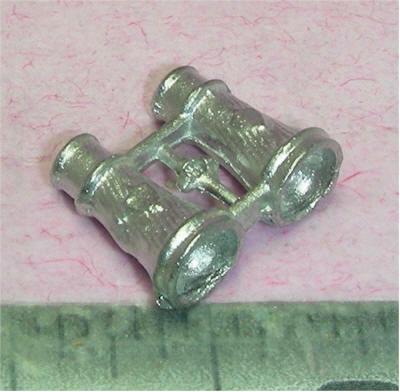 902 Swivel Plant Hanger 2 pcs. 911 Strap Roller Skate w/ key 3 pcs. 915 "Atari" Game Set 3pcs. 916 Apple Computer 4 pcs. 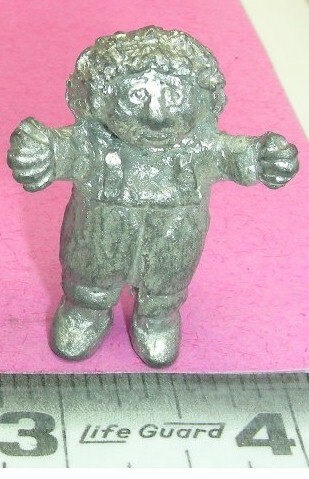 1-1/2" x 3/4" x 1-3/4"
944 Clown Pull Toy 2pcs. 953 Tot Pounding Bench 2 pcs. 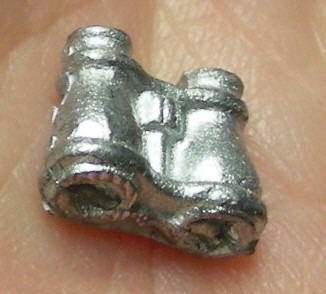 If you don't see what you want listed in the table above or the one on Metals4 be sure to ask. They have hundreds of things that are not in the the catalog. See Below for some items that I don't have photos of yet!